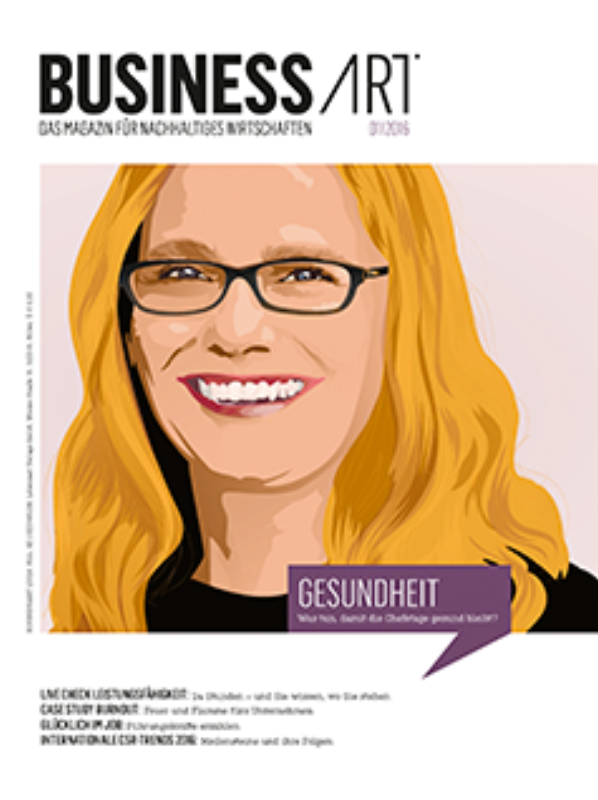 The January issue of Business Art devotes an article to the 24h HRV-measurement and AUTONOM TALENT®’s managing director Andrea Ristl gives an interview about, amongst other topics, the differences between men and women. One of Business Art’s journalist was brave enough to try the 24h HRV-measurement himself and found the experience uncomplicated and unintrusive. The analysis corresponded with his self made assumption that his recovery ability during the night left to be desired. He was recommended several exercises and a plan to implement these changes. In the interview Andrea Ristl reports about various trends. For example, nervous tension is rising amongst young executives and performance levels are highest in 30-40 year olds. HRV results are best in people who are satisfied with their lives. Between the different sectors one can observe that those working in industry have higher energy levels than those working in services.